In his regular column in a popular Tamil weekly news magazine, Kamal Haasan writes, "The right wing cannot challenge talk of Hindu terrorists because terror has spread into their camp as well." Kamal Haasan, 62, has accused AIADMK in Tamil Nadu of being seeped in corruption. Tamil mega-star Kamal Haasan, revving up for a political career, has said today that terrorism has infected right-wing groups, provoking a likely confrontation with the BJP. "In the past, Hindu, right-wing groups would not indulge in violence. They would hold a dialogue with opponents. But now they resort to violence," Mr Haasan said. In his regular column in a popular Tamil weekly news magazine, he writes, "The right wing cannot challenge talk of Hindu terrorists because terror has spread into their camp as well." "Hindus are losing faith in 'satyameva jayate' and instead subscribing to 'might is right'," he says. 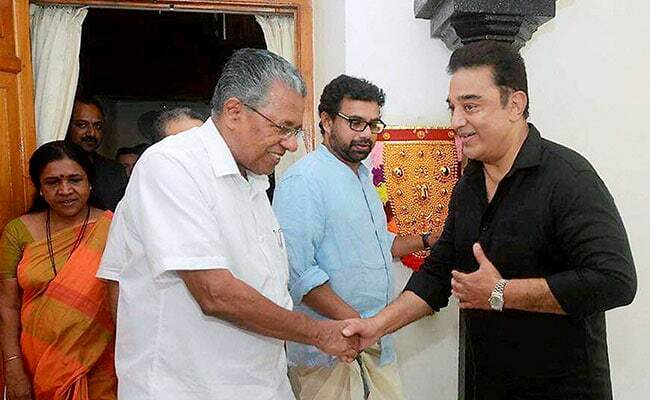 His comments were made in response to a question by Kerala Chief Minister Pinarayi Vijayan who asked the superstar about what he described as recent communalisation which seeks to destroy the Tamil Dravidian tradition of peaceful co-existence. Mr Haasan, 62, who has accused the ruling AIADMK in Tamil Nadu of being seeped in corruption, visited the Kerala Chief Minister in September and said "saffron is not my colour" to signal an aversion to any affiliation with the BJP. The BJP objected stridently to the term "saffron terror" introduced by the previous Congress-led government when alleging terror attacks by extremist right-wing groups. "Kamal Haasan must apologise for hurting Hindu civilisation, defaming it, trying to create provocation for his petty political end," tweeted Rakesh Sinha, who is from the BJP's ideological parent, the Rashtriya Swayamsewak Sangh or RSS. For months, Kamal Haasan has been talking of launching his own political party; last week, he asked fans to be ready for "a big announcement" on November 7, his birthday. 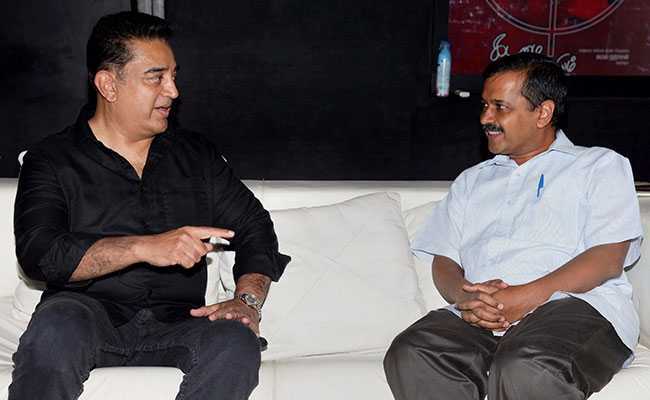 He also lunched last month with Delhi Chief Minister Arvind Kejriwal at his home in Chennai; the actor said he sought Mr Kejriwal's views on crowdfunding and recruiting "young, fresh faces" for his political outfit. "World over, there is a move towards fascism and a leaning toward the right-wing. But this is a temporary trend, it won't win," he says. "There is an attempt to bring back regressive thinking in music, art, to make it right-wing, not just in Tamil Nadu but throughout the country." 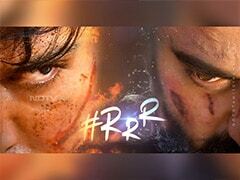 Two weeks ago, BJP leaders demanded that references to the new national sales or GST be edited out of a Tamil film called "Mersal", alleging it misrepresents the facts about the reform.